3-storey mid-terraced stone fronted property having restaurant on ground floor and residential accommodation on upper floors. Ground floor: Restaurant with seating capacity for approx. 22/26 patrons. Kitchen. Yard. Toilets. Take-away area (with own front door from the street). 1st floor: Living room, bathroom. 2nd floor: 3 bedrooms & landing. 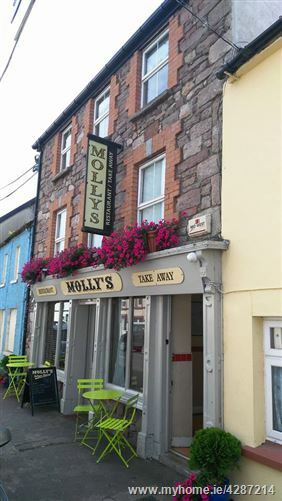 Property trades as a successful profitable restaurant in the centre of Kilfinane. It is fully fitted and in ready to operate condition. We understand all equipment can form part of the sale and the property has Freehold Title and has a valid planning and fire certificate. 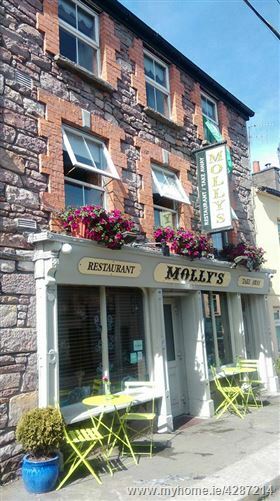 3-storey stone fronted restaurant / residential property. Ground floor restaurant with fully fitted kitchen. Upper floors - residential accommodation. Restaurant Area: 2.743m x 2.515m and 5.836 x 3.865m. The seating capacity is for approximately 22/26 patrons. Kitchen: 3.484m x 4. 868m. Fully fitted; tiled; velux window. Yard: 2.311m x 4.024m with oil tank and boiler located here. Toilets: 2.544m x 2.003m having ladies and gents toilets with w.c. / w.h.b. Take-Away area: 4.753m x 2.588m—this has its own door from the street. Bedroom 1: 3.397m x 2.386m. Bedroom 2: 3.343m x 3.987m. Bedroom 3: 3.191m x 2.257m. 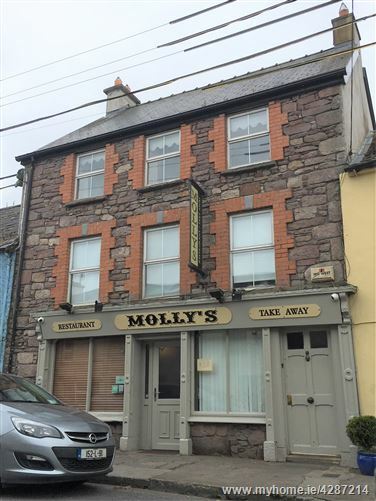 The property is situated in the centre of Kilfinane Town in Co. Limerick. Kilfinane is approximately 40km from Limerick City and approximately 70km from Cork City. The Ballyhoura Mountains and in particular the Ballyhoura Mountain Bike Park is located close to Kilfinane.